Warning, before you get too excited, both of these remedies require time to prepare– the bone broth 24 to 72 hours, the fire cider 4 weeks! However, there is something therapeutic about crafting these recipes in advance. I spent part of the day with E on my back in a carrier, singing, dancing, cooking and it was the happiest I have felt in a couple weeks. It definitely helped that she was singing and dancing right along with me and the dogs were rolling on the floor in excitement for the melt-right-off-the-bone chicken, (sorry vegetarian readers). Oh and may we also recommend Elizabeth Mitchell as a great family Pandora station? While no one in our little family is sick at the moment, (knock on particle board), we have been pretty beat up by the lack of sleep/teething storm over the past week and a half. So, when my beloved friend/doula pulled out a jar of “fire water” I was inspired to learn how to make my own. Here is a recipe I found. It may sound strange, but the burn is somehow soothing. The only way cooking gets done around here anymore– the tulas my husband and I got each other for Christmas! On that same note, my stepmom inspired me to make some bone broth soup. I’ll admit this time I cheated and let it cook for about 9 hours, but next time I am determined to get going far enough in advance to give it the full 24 to 72 hours to do all of its magic. To get the bones, I simply submersed a whole (organic) chicken in my crockpot with water, cooked for two hours, and the meat was ready to fall right off. Here is a recipe for bone broth. This evening I plan to combine the broth with carrots, leaks, potatoes, garlic, and seasoning to make soup, (as you can probably tell I’m not much of a recipe follower). That’s it! A short post to pass on two good home remedies for preventing and treating colds and flus. I won’t expound on the benefits of either as other people have already done a thorough job elsewhere, (including in the links above). This Introvert Birthed an Extrovert. Go Figure. E throwing herself in the middle of the action at another Java Mama meet-up this week. E is passed out in our big bed. We just got home from a baby “class” that was equal parts her favorite thing ever and my worst nightmare. Of course, I exaggerate. I loved watching her happy, even if I dreaded having to sing another song while doing sign language with a huge smile on my face. That just isn’t the part of mommy-ing where I excel. There is actually a pretty cool coffee place down the street from us, called Java Mama. It has supervised play areas for the little people and grown-up treats for the caregivers. Somehow, in the course of the last week, I have been there four times. It is suddenly everyone’s favorite place to meet with a baby. That is how I discovered their weekly baby classes. While they aren’t cheap, I figured they were worth a shot because E is mesmerized by other kids. Sure enough, no sooner had we removed our shoes than she had crawled up on another mom’s lap and was listening side-by-side with her baby to a story, (might have been one of E’s cutest moments yet). And, so it begins. E is already pushing me out of my comfort zone. I knew it was bound to happen, I just did not expect her to be so outgoing so quickly. I, on the other hand, cringe at having to put on a show and meet new people, (even if I enjoy social interaction once I get over the stranger anxiety). Yep, this introvert has birthed an extrovert. E exchanged kisses with babies, excitedly drew circles in the air when invited to do baby sign language, and, well, threw herself in the middle of everything with her characteristic beast scream of excitement. She. Was. In. Heaven. As for me, well, I made it through. Thank goodness those classes are designed for short attention spans. My brain doesn’t catch on quickly to coordinated hand motions/new lyrics/etc., (I am still traumatized by high school aerobics). Mix in suburban moms, and, well, I felt a little like a fish out of water. To the credit of the other moms, however, they were all perfectly nice and I even made a new mom connection who seemed pretty cool. It was just a different scene from the babywearers at the park, (even if they ironically met up at Java Mama last week too). I have heard many times that our children are our greatest teachers. They push us in exactly the ways we need to be pushed. Today, I am grateful to E for exposing me to a new slice of life, one I would have avoided at all costs if it were not for her huge smile and beastly screams… No promises on getting better at those silly songs, though. It has been two weeks since we moved. Despite my excitement about our new adventure, I also had my worries. I did not know if two bedrooms would be enough. I was concerned we would miss our privacy. I feared I would somehow feel rootless, or homeless in a nontraditional sense, without an entire house to ourselves. Most of all, I did not want our little family to lose the intimacy of those precious moments shared just the three of us. To my great relief, our first two weeks have made any trade-offs unimportant. So far, I do not miss a single item stuffed into our 1,500 cubic feet of storage, (and, yes, we used all 15 feet of vertical space thanks to my clever cousin-in-law). Nor do I lament the loss of the many items I gave away or sold. Life feels simpler with less. And, as it turns out, everyone else is so busy with daily routines that our little family of three is still a little family of three, just operating within a bigger family unit. The bigger family unit is by far the best part. Household responsibilities are shared and I no longer spend my days obsessively cleaning. Instead, I write every second I can while she is asleep, trade nights on the dinner making, and generally can find someone eager to hold her for a few minutes when I need a break. As I made and cleaned dinner beside my sisters the other night, I felt at home in a soul-nurturing kind of way. When I got back from yoga on a different night and my husband was hanging out in the kitchen while one of my sister’s bounced the baby, another sister made dinner, and my nephew ate at the counter, there was this feeling of community I had missed in my solo days staying at home. I feel so incredibly blessed to be with my family, in whatever setting life provides. Even if this is just a temporary arrangement, I am trying to make the absolute most of it. I have already realized my call to be a stay-at-home mom is not about baking or cleaning or decorating (which I know can be fulfilling for many). Instead it is about getting to be present for my daughter while also having the opportunity to pursue a piece of myself that would otherwise be lost in a 9 to 5 life. This month, I decided to dedicate my middle grade fiction novel to E. Somehow, knowing she will someday read it, I am more motivated to craft characters I would want a 10 or 11 year-old to idolize, and in turn, feel much more inspired to finish it. Writing a novel for my daughter is pretty much the coolest project I have ever worked on. After all, she is the most important audience I will ever have. Month seven has been about so much change, but I can tell it is the good kind because it has all just happened. Nothing has been forced. The house sold, we moved, each step has followed naturally by just putting one foot in front of the other. E. is changing every day, too. She is crawling, teething, chattering, climbing over pillows. As cliche as it sounds, she has shown me home is wherever I am with family. 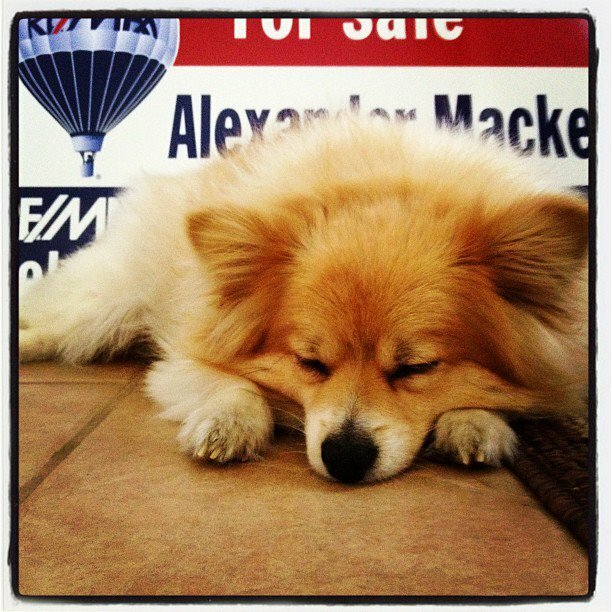 The sale-pending sign hangs outside our house. This leap is getting real! Our house is in escrow. Half-packed boxes are scattered in every room. By all appearances, we are moving. Five years in one house is the longest I have lived anywhere. Ever. It feels good to go through everything and make piles. Keep and give away. We own so much we never use. Going through it all is a good reflection on what matters. I like stuff. Dresses, jackets, shoes, woven wraps. But I have more stuff than I use. More stuff than I stop to appreciate. More stuff than matters. My favorite part of moving is finding the person who could use what we don’t. Baby swings, strollers, clothes. The list goes on. For most everything, there is a person in our life or sphere who will put the item to better use. It is like a puzzle. I have always admired people who leave behind their worldly belongings to embark on journeys, both inward and outward. The story of Buddha fascinated me as a child. I wrote a novel about a couple that leaves everything behind. Maybe I used to be a gypsy. I admit some things are harder to let go than others. 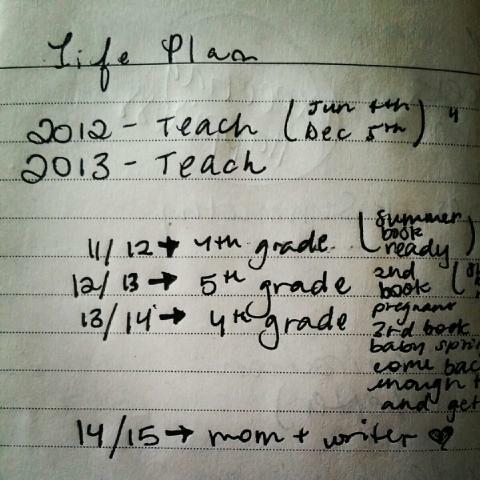 Three years ago, I hoped my life would follow this course, but had no idea how to pull it off. Turns out we can shape the future but it might look a little different than we imagined. I debated whether to share this story so publicly. Our decision to live with family for a couple months before reestablishing ourselves somewhere new. It is so counter to what most people in our lives are doing. Instead of expanding our square footage, we are shrinking into two bedrooms and a storage unit. It is the kind of thing people talk about in hushed tones, as though something has gone wrong. That’s the beauty of it though. Nothing has gone wrong. While a baby and an abandoned job were catalysts for change, we have wanted to live somewhere else for awhile. The missing piece has been where. It was the perfect moment to sell our house but an uncertain one to pick what comes next. Add in a desire for a little more community and the bonus of some serious cash saved and it all felt right. Something deep inside is also calling me home. It makes me feel like a character in one of my own stories, like some deeper, spiritual journey awaits, like having children does not mean your life has to take a prescribed course. Maybe that is all too romantic and in a couple months we will know exactly where we belong. Until then, I am excited to embrace the unconventional, to live my bohemian writer fantasy, to make the most of resources, to rejoin a family structure congruent with the ages… To be without quite so much concern about what comes next. And, in this little way, I am inviting you along with me. Because I know at least one of you feels called to a life of less stuff, greater simplicity, and a deeper sense of community. A kindred spirit. And, if not, that’s fine too, we can still be friends as long as you refuse to talk about my adventure in hushed tones. After all, that’s the joy of life, it is not one-size-fits-all. Eloise’s first forward carry at about four months. She loved every second of it. I’m bound to piss off a few mamas with this one. 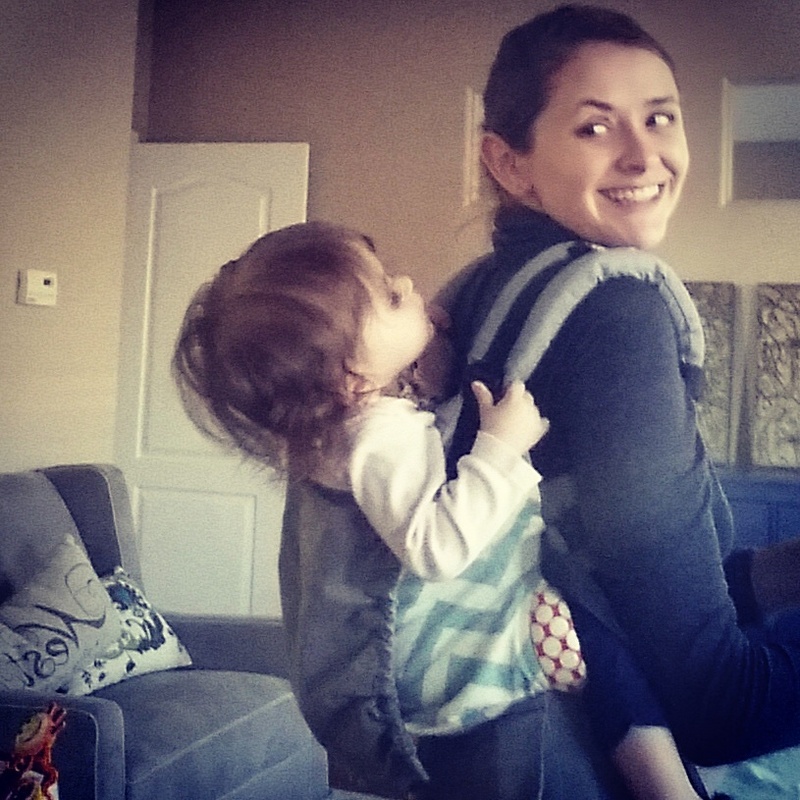 Ever since Ergo launched the 360, babywearing debates have been popping up around the web about whether or not it is okay to ever have a baby facing forward in a carrier. Even the Ergo website recommends using the forward-facing position for limited time periods and only after the baby is six months old. After I let this information sink in, I decided to still use the forward facing carry with Eloise but with a new-found awareness of whether or not she is overstimulated and needs to be able to turn away from her environment. Before, I would wear her to the grocery store facing outward, thinking she would like to look out at everything. Now I will start her in the inward carry and then turn her outward if she is fussing. That’s my compromise. Despite my attachment parenting tendencies, there are times when I need the break and facing outward is the only thing that keeps her occupied. I often allow her to face outward while I eat, walk the dogs, and do other household tasks. She never stays in the position for very long, but it is a key element to maintaining my sanity, which is important because a happy mama means a happier baby. 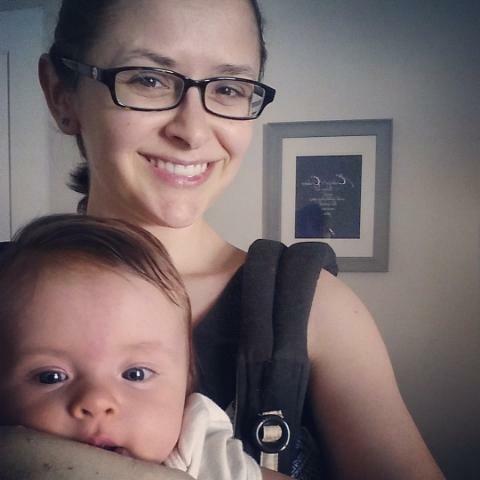 The whole reason I think it is worth sharing all of this is because the babywearing community can get pretty aggressive about NEVER facing a baby outward, even in a carrier that is ergonomically supportive for the baby. What I don’t understand about this is the lack of support it shows for other mamas. I have yet to meet the mom who hasn’t at some point given her kid sugar, used a stroller, or let her kid watch television. Most of us have done at least one thing that might be considered detrimental in some circles but makes our lives better. To be fair, no one has been less than kind to me, I have just been weighing the information for my own purposes and wincing a little when reading other moms go off about forward facing carriers. If it is not causing physical harm to the child, I am hard-pressed to believe time spent facing outward is any different than using a stroller, (if anything it is better than a stroller from an attachment parenting perspective). And I know plenty of psychologically healthy children who sat in strollers as young babies. As with anything, it is important to pay attention to the cues of your individual child. 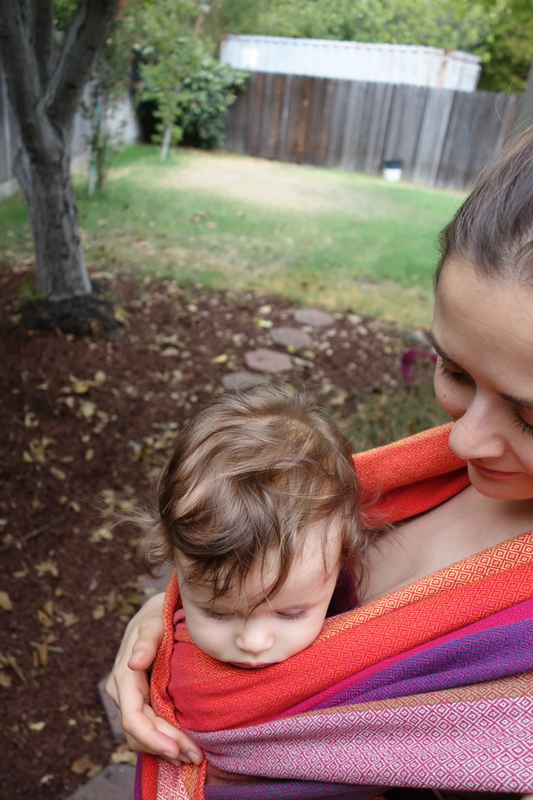 I love woven wraps, but sometimes it is easier to slap on the Ergo, and sometimes my individual child is not in the mood to be facing inward anyway. So wear on, mamas and papas, wear on!